After playing the demo of Bioshock I was all up for the full title, which hit the streets on Friday. But reports about how 2K decided to protect their games with SecuROM DRM technology have entirely put me off. Developed by Sony it plumbs itself into Ring 3 of the OS, and monitors data coming from the CD/DVD and also refers to an online distribution service. 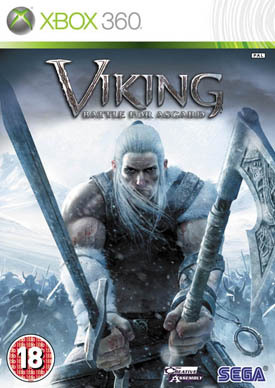 The original release allowed the game on two machines, and you had to deinstall it from one of those to use it elsewhere, and have the original disc. Within hours people reported failed installs and revoked codes. From all accounts this is an amazing game, but there isn’t a remote chance I’d let it anywhere near my working PC, or any that I rely on. I know 2K has relaxed that original 2 machine limit a little, and their working on a code reclaim application if you can’t deinstall because your PC dies. But I can’t really accept that a game deserves to decide what other than itself should be on my PC (as this install does..), or that comes with such draconian Digital Rights Management. But I’m sure someone else will get to the Micro Mart review copy before me, so it won’t be an issue. I’ll let it muck up their system instead! Update: AH! It’s already messed up, because the demo put SecuROM on my system, and didn’t remove it when I uninstalled it. These people need a kick in the head! I’ve just been playing PC demo of Bioshock, and jolly good it is. If you’re not a keen gamer, or a youngster, you might not remember the original SystemShock game, which where all set on a derelict spaceship. This isn’t. Instead the action takes place in a realy weird submerged city, a sort of pre-war styled Atlantis, called Rapture. At the start of the demo you arrive when you’re plane crashes near Rapture, and you take an underwater elevator deep beneath the ocean. So what makes this FPS different from the standard crop? Two things strike you almost immediately, even within the limited confines of the demo. The first is the level of design work that’s gone into this game, which is astounding. The starting locations are lavish Art Deco, and filled with posters, tiles, signs and statues. It’s like being a movie when they’ve given the art director his head and a massive budget. Having a few locations like this in a game is impressive, but every room, even the toilet are works of digital art. The second, and somewhat unexpected aspect to Bioshock is the AI of the enemies. While they’re still triggered by you to appear, what they do and how they react is entirely driven by their own individual logic. Once you understand the motivations of the various creatures that infest Rapture you can use that to make them allies or confuse them into helping you. 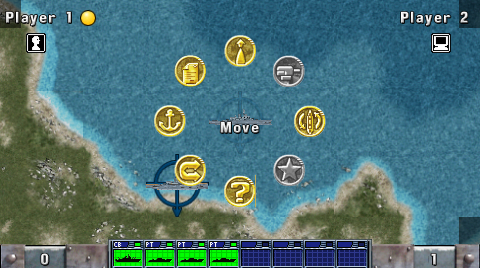 You can also hack the defence systems to ignore you and attack your enemies. Which promises a much more cerebral experience that just running around shooting everything. I feel that approach won’t get you very far in BioShock, you need to be smarter than that. Previously we’ve seen great demos that didn’t live up to their potential in the full game, but I’m confident that Bioshock will, and might be even better. Can’t wait for the full game! For those that haven’t, in Steel Horizon’s you control a flotilla of ships, of different types, and attempt to confront the enemy ships and destroy them. City of Heroes – I’ve retired! It’s a sad day, but I just stopped my City of Heroes/Villains account. This is the second time I’ve take a break, and probably the last that I’ll play. Don’t get me wrong, I had a blast getting four ‘toons’ all the way to lvl 50. But a number of things had convinced me that my last character would be my final new one. I still think it’s a very interesting game, but in the end their wasn’t much new to do once you’d got to the top level, and it sucked up time I could better use on writing, or blogging…even. My son plays Wow, but I’ve no interest in following him there. So until I get sent anther online game to play I’ll be abstaining, so to speak. I’d like to thank anyone who teamed with the heroes Cobalt Smash, Cobalt Evo and villains, NecraCobalt and shown here…TetraCobalt. It was fun, but I must do some work! (you watch…I’ll get sent something really additive before the week is out).